Montefiore Children’s Hospital in New York City provides much-needed care to young children. 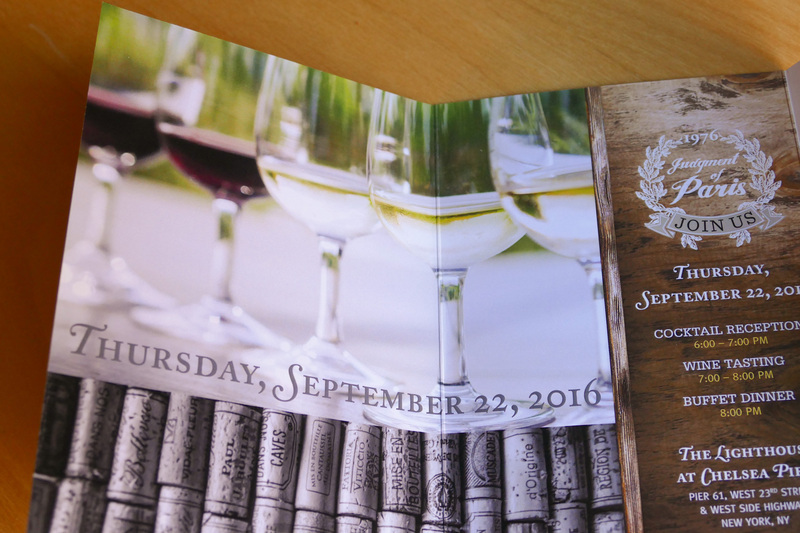 The annual wine tasting event is a major fundraiser where attendees enjoy an upscale wine tasting with renowned sommelier Kevin Zraly. Each year, new branding is created for the event and carried throughout all the materials produced. 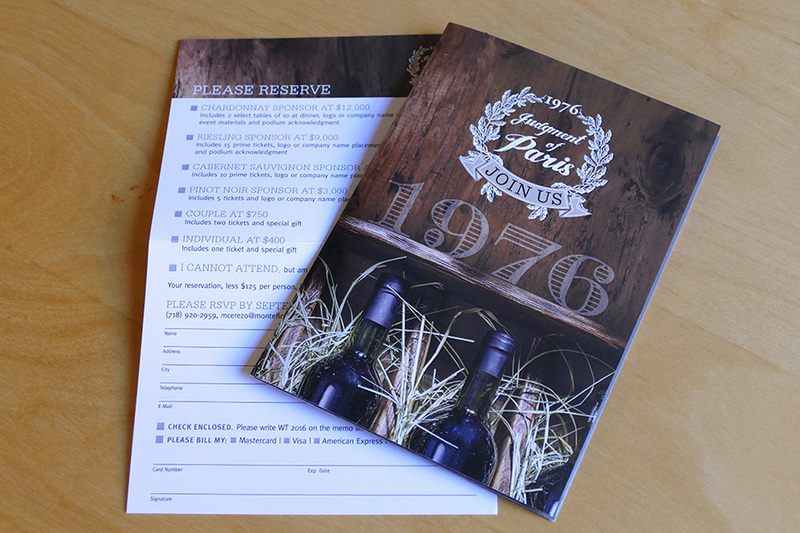 This year’s event was based off the theme of the 1976 Judgment of Paris, where an American wine won first prize for the first time with French judges. Roycroft Design is proud to support this annual event by donating our services for the logo, branding, invitation, save the date and placement design. This year’s award-winning invitation gave us the unique opportunity to create a design that captured a blend of history with a modern aesthetic.